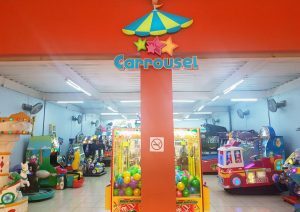 Semnox Parafait has gone live on January 24th at the Carrousel Family Entertainment Center’s Chimaltenango site in Guatemala. The business of the Novielli family began in 1960, as an ice cream parlor, later they installed a Carrousel; that’s why the actual name of the business. Then, in 1980 they expanded their business in the Shopping Centers, implementing arcade machines. 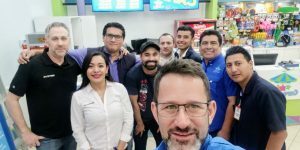 Currently, they have 7 locations in Guatemala City and 16 in the rest of the country. 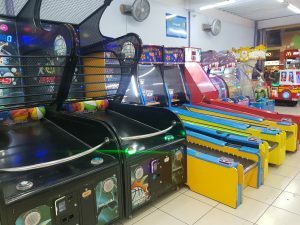 “I loved receiving today the information in my e-mail about the performance and income obtained from each game machine; I was able to review the metrics, I made decisions immediately” said Mr. Juan Carlos Novielli, owner of the more than 20 “Carrousel” Family Entertainment Centers that are in Guatemala. The administrative burden to operate number of sites was too much, in addition of being inconsistent and did not have the needed metrics to make decisions about the business. Mr. Novielli made the decision to implement Parafait from Semnox, because he wanted an enterprise class system to help manage his stores. Semnox Solutions LLC (https://www.semnox.com) provides technology and creative solutions for the entertainment and amusement industry. Semnox’s Parafait suite of products are operational at over 1,400 sites spread across 40 plus countries.